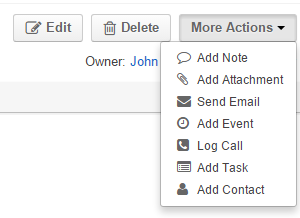 You can add an attachment to a record in OroCRM. Attachments are available only for the entities for which they are enabled. The attachment settings depend on the specific entity settings. See step 5 of the Create and Entity action description. 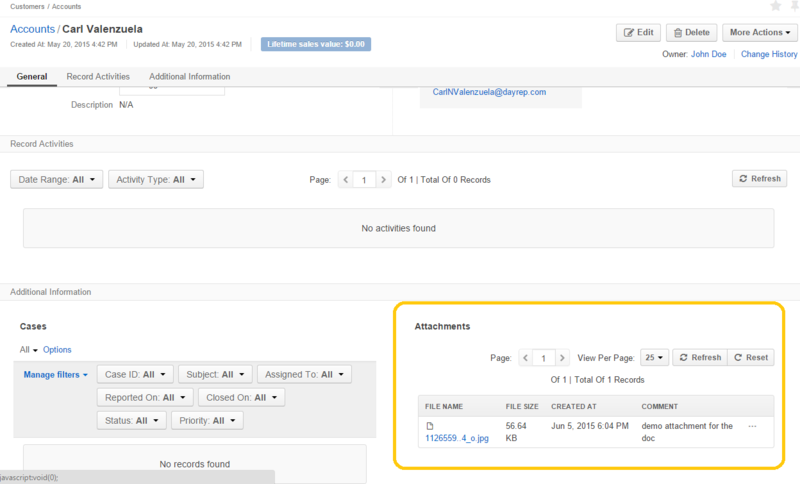 Once a record has been created, an attachment can be added from its View page. The ability to view and upload attachments depends on the permissions defined for the entity. Go to the record view page. Click the Add Attachment action button. Choose the file to attached. Leave a comment, if necessary. Define the attachment owner. 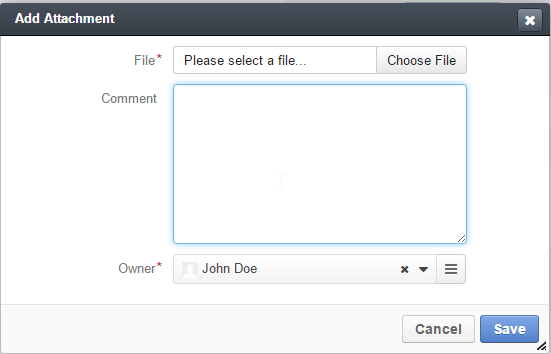 Only the owner and users with whose roles that enable management/viewing of the owner’s attachments will be able to manage/view the attachment. You can also add the attachment to emails related to the record.